The weekend is upon us and what better way to slack off than by checking out the Friday edition of Toyark: Off the Shelf, our round-up of news, tidbits, fun and off-topic stuff that we didn’t post of the front page of Toyark.com. 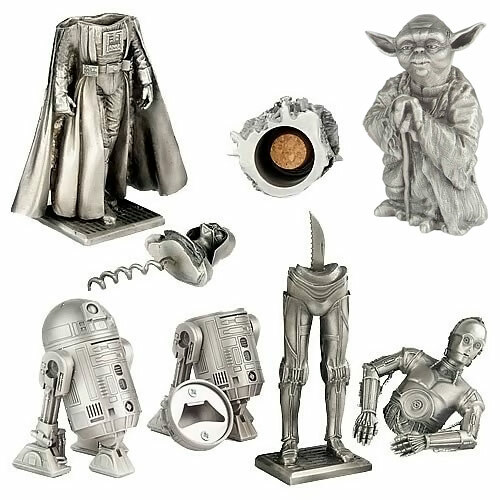 Today we have a few Star Wars items, including a bizarre and awesome barware set. Also, we have a few videos showing a LEGO Hogwart’s being built, a classic toy commercial compilation and look at the Wolf Predator statue. We also have a seriously impressive Lego Batman Cake and a whole lot more. Read on to see what we have today. NECA has announced that they have acquired the license for Yu-Gi-Oh. They will be creating Heroclix based on the franchise. Here’s Johnny! 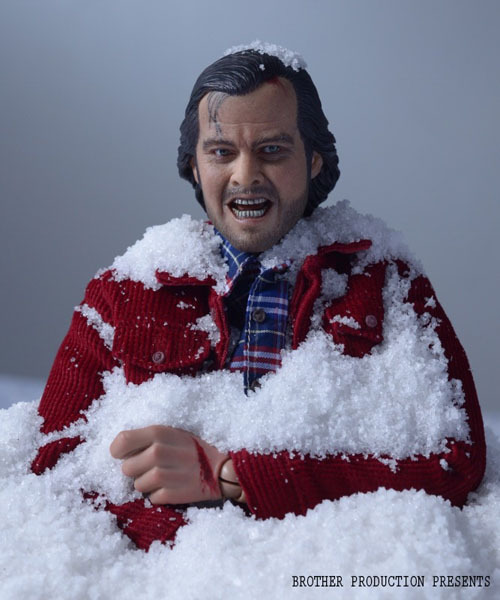 An unofficial Jack Torrance from The Shining in 1/6 scale. Jazwares is releasing 3″ figures based on Nick’s classic series The Rugrats. Amazon has this killer Star Wars Bar Set. It’ll only set you back 750 Republic credits. There’s an amazing looking LEGO Art Exhibition going on in SoHo. 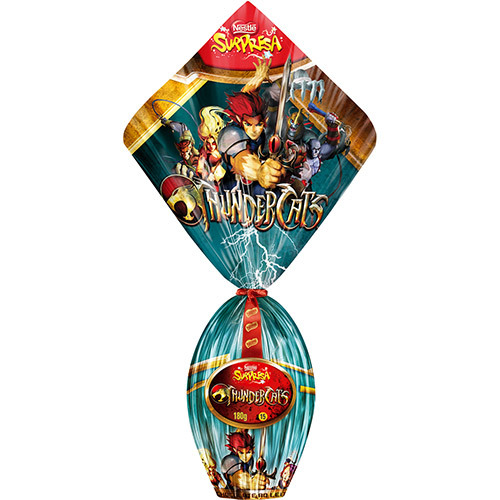 Our sister site Thundercats.ws has word on these Thundercats Easter Eggs from Nestle. Sorry, only available in Brazil. 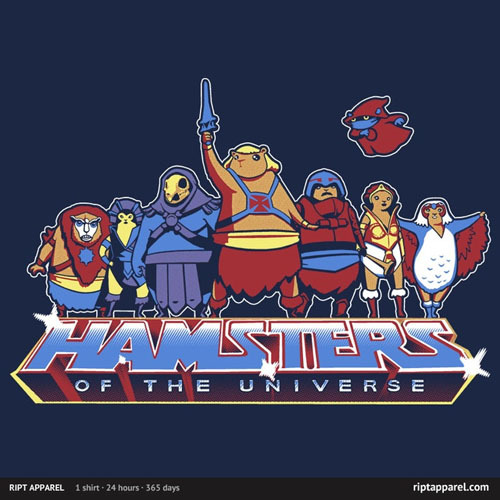 RIPT Apparel has this hilarious and adorable MOTU inspired “Hamsters of the Universe” t-shirt. Today only! A ton of new licensees have signed on to produce products based on HBO’s massive hit series Game of Thrones. George Lucas wants to build a Museum in San Francisco to showcase his art collection. This time lapse video shows the construction of a massive LEGO Hogwart’s from the Harry Potter series. 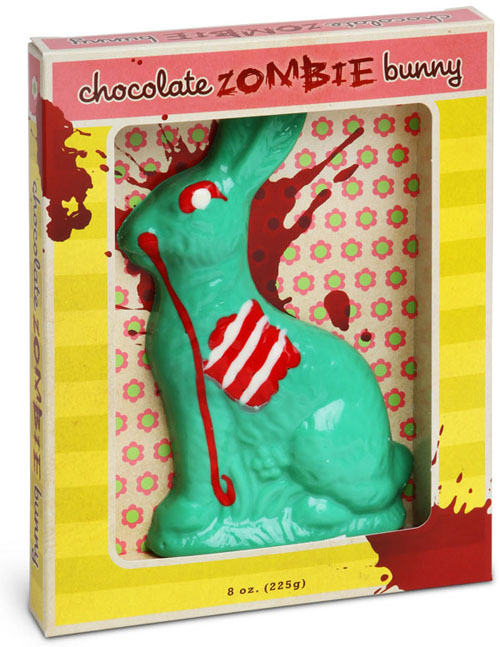 This Chocolate Zombie Bunny is the perfect way to bring a smile to the zombie loving fans in your life this Easter. Video game based toy lines are seeing huge growth. In the UK sales for game related toys is up 28% compared to last year. Sideshow has posted a behind-the-scenes video showcasing the creation of their Wolf Predator Legendary Scale Statue. Here are the details for the MattyCollector sale starting April 15th. It includes the DCU Monsieur Mallah & The Brain, and MOTUC figures such as Snake Face, Mosquitor, Webstor and more. McFarlane Toys has revealed the tentative line-up of sports toys for 2013. 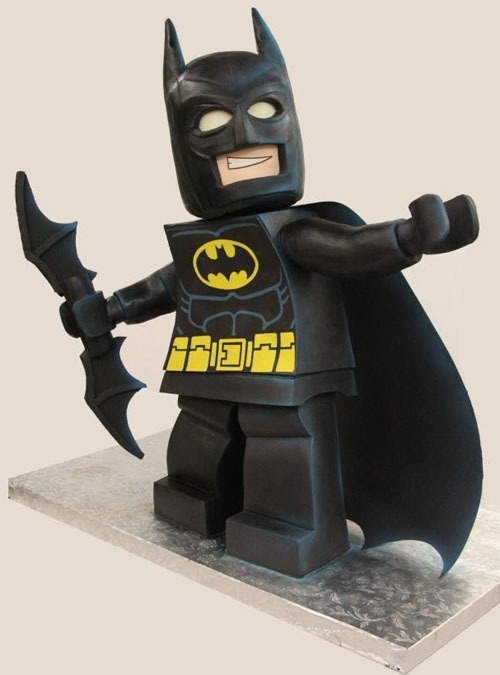 This LEGO Batman Cake might be the most impressive LEGO Cake ever…Or at least for this week. We leave you today with nearly 10 full minutes of classic Star Wars toy commercials.